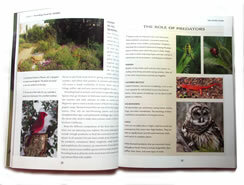 "Creating a wildlife habitat is more than just planting a pretty garden. It's actually restoring one small piece of the ecosystem," writes David Mizejewski. It's your yard; you and your family have certain needs and expectations of it — and so do the wildlife! 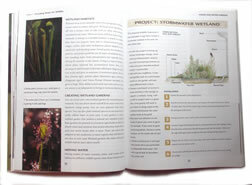 This book provides insight into ways to adapt your personal landscape to provide wildlife's basic needs of food, water, cover, and places to bear and raise young. For example, you might let a row of mixed native shrubs connect two wild areas that are separated by lawn, thus providing a corridor for wildlife. You could build a toad house or construct a stormwater wetland. 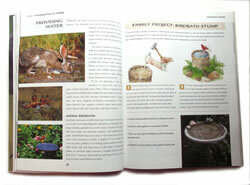 The book includes 17 family projects, down-to-earth explanations of the reasons for doing them, as well as tips on creating a National Wildlife Federation "Certified Wildlife Habitat."